VERRIER, LOUIS-GUILLAUME, lawyer in the parlement of Paris, attorney general of the Conseil Supérieur of New France; b. 19 Oct. 1690 in Paris, son of Guillaume Verrier, king’s attorney, and Marie-Madeleine Thibault; d. 13 Sept. 1758 in Quebec. Louis-Guillaume Verrier descended from a family of lawyers – his father and his maternal grandfather had been king’s attorneys – and he studied law in Paris. On 8 Aug. 1712, when he was 21, he was admitted to the bar of Paris, where he practised his profession; in 1719 his office was located in Rue Mûrier. When the attorney general of the Conseil Supérieur of New France, Mathieu-Benoît Collet*, died in Quebec on 5 March 1727, Verrier sought the office. On 23 March 1728 the minister, Maurepas, inquired of the attorney general of the parlement of Paris about Verrier’s capacities for the office he was seeking, and on 20 April Verrier received the appointment. A month later Maurepas informed Governor Charles de Beauharnois that he was granting a passage on the Éléphant for the new attorney general, who landed in New France at the beginning of September. On 5 Sept. 1728 Étienne Boullard*, the vicar general and parish priest of Quebec, furnished a certificate stating that Verrier had conducted himself as a good Catholic and had been a regular communicant since his arrival in the colony. On 9 September the investigation into the new attorney general’s character was held, and on 17 September his commission was registered by the Conseil Supérieur. At that period the attorney general had to combine with a knowledge of the ordinances and decrees of the Conseil Supérieur perfect mastery of the laws and ordinances of the kingdom, and especially of the customary law of Paris. 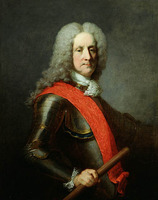 His duties were to conduct the king’s affairs before the Conseil Supérieur and to transmit the council’s edicts and ordinances to the king’s attorneys of the provost court of Quebec and the royal jurisdictions of Trois-Rivières and Montreal; he supervised the manner in which the attorneys carried out their duties. In addition the attorney general was consulted on points of law, delivered indictments, and formulated conclusions which the Conseil Supérieur generally followed. Shortly after Verrier’s appointment, Governor Beauharnois wrote to Maurepas, “that the council seemed very pleased with the present” which the minister had made it in the person of Verrier. He added that the attorney was “acquainted with his position and very much attached to his duty.” Indeed, Verrier paid close attention to the slightest detail of his work as attorney; at the end of October 1728, in accordance with the ordinance of 1717, he required the heirs of the notary Florent de La Cetière* to deposit his minute-book with the registry of the provost court of Quebec. The heirs of a deceased notary had the troublesome habit of considering the notarial deeds as a piece of personal property belonging to the succession. On the same occasion he was able to recover the minute-book of the notary Louis Chambalon*, whose wife had kept it since 1716. Verrier made his mark in the colony not only by exercising his functions as attorney general, but more by tackling other related tasks. On 25 March 1730, as the result of a royal decree, Maurepas entrusted to Verrier the task of examining all the minute-books of the notaries of the provost court of Quebec. It was, in fact, known that a great number of notarial deeds were badly drawn up [see Florent de La Cetière]. In addition to a general inventory of the documents in the various minute-books, Verrier was to make a complete list of all the errors encountered in the deeds and subsequently to present a report recommending remedies. Choosing the notary Christophe-Hilarion Du Laurent as his recording clerk, the attorney general set to work forthwith. The work promised to be long, since for each register Verrier had to record every deed, note what was faulty, indicate the beginning and end of each minute-book, sort out the papers and put them in order, and on occasion add some biographical details concerning the notary. On 18 Oct. 1730 Governor Beauharnois and Intendant Hocquart* reported to the minister the work that had been accomplished and requested that Verrier be granted a gratuity in proportion to his work. A year later the governor and the intendant were able to send to France eight reports on the examination of faulty deeds. They had nothing but praise for Verrier and again requested a gratuity for the work he had done and as reimbursement for the payments he had advanced in the performance of this task. The attorney general continued with his work for two whole years. On 7 Feb. 1732 the minister informed Verrier that he was sending him a gratuity of 1,000 livres and that he wanted him, in collaboration with the governor and the intendant, to prepare from his report three statements concerning defects in the notarial deeds, marriage contracts, and the levying of fines on notaries who did not respect the required formalities. The councillors François-Étienne Cugnet and Eustache Chartier de Lotbinière were given the responsibility of going over these three statements. They reported to the minister in October 1732, and the following year the king passed laws following their recommendations. Verrier had examined and classified 34 minute-books. At the end of 1732 Verrier had been given the task of compiling the register of landed property in the colony. The work, whose length sometimes made the minister impatient, was not completed until eight years later. On 4 Oct. 1740 Hocquart informed the minister that Verrier had just delivered to him the seventh and final volume of the register of landed property. As for the gratuity which the authorities had been promising the attorney general since 1738, it was not paid until 6 April 1744, when the minister received the supplement to the register. The most original aspect of Verrier’s work in New France was without doubt his teaching of law. The courses he gave were elementary and amounted to lectures on the ordinances, customary law, and jurisprudence of the period; these courses in law are believed by some to be the first given in North America. Despite Beauharnois’s and Hocquart’s scepticism and the lack of success the attorney general Collet had met with, Verrier undertook to present such lectures and he gave them free of charge. On 9 Oct. 1733 he could write to the minister that he had no other ambition but to devote every moment of his life unreservedly to the public interest. During the early years of his teaching the candidates were few in number. His first two pupils were Jean-Victor Varin* de La Marre and François Foucault. In 1736 he had three new students: Jacques de Lafontaine de Belcour, Jean-Baptiste Gaillard, and Guillaume Guillimin*. The following year the minister expressed to Verrier his satisfaction at seeing him continue his courses, and the king urged those Canadians who were suited for legal studies to follow the attorney general’s teaching, in order to qualify themselves for the office of councillor. Subsequently, thanks to Verrier’s remonstrances, the king gave his preference to the attorney’s pupils when new appointments were made to the Conseil Supérieur. 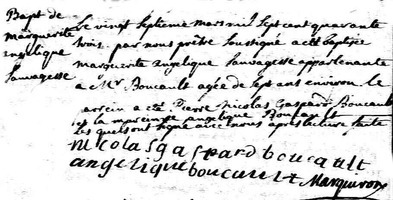 In 1738 the number of regular students was seven, among them Thomas-Marie Cugnet, the son of the councillor Cugnet. The following year Verrier found himself obliged to increase the number of his courses to two a week; in them he commented upon the substance of the first and second volumes of M. Argou’s Institutions of French law, and he had his students read the Ordonnances civiles et criminelles to familiarize themselves with the form of legal matters. In 1740 René-Ovide Hertel* de Rouville and, in 1742, Jean-François Gaultier came to join his students. 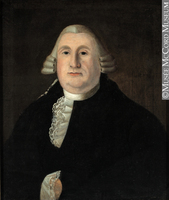 Verrier continued his law lectures beyond 1753, when one of his students was Jacques Imbert. 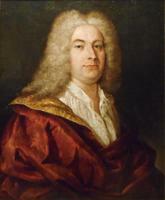 The attorney general had had to interrupt his courses twice while he travelled to France in 1744–45 and in 1749. The authorities recognized Verrier’s work and awarded him several gratuities, which were added to his salary of 600 livres per year up till 1751 and 1,000 livres after that. Outside of his legal activities little is known of Louis-Guillaume Verrier’s life. A scholar and bibliophile, he had a library of 997 works, a great number of which comprised several volumes. Verrier died a bachelor and intestate on 13 Sept. 1758; his succession was not completely settled until 14 Jan. 1776. He had devoted his life to the law, and he had spared neither time nor money to enable his fellow citizens to acquire a broader knowledge of it. Verrier had not engaged in business, and his emoluments were often insufficient, as he pointed out to the minister on several occasions. His contemporaries and, later, men of law were unanimous in their homage to him; he was a dedicated man, assiduous in his work, honest and unbiased in the execution of his duty. AN, Col., C11A, 59, p.101; 60, p.97; 71, p.135 (PAC transcripts); E, 385 (dossier Verrier). ANQ, Greffe de J.-B. Decharny, 10 janv. 1759; AP, Louis-Guillaume Verrier, 1730–1759; NF, Ins. Cons. sup., 1728–1758; NF, Registres du Cons. sup., 1728–1758. PAC Report, 1904, app.K; 1905, I, pt.vi. L.-G. Verrier, “Les registres de l’Amirauté de Québec,” APQ Rapport, 1920–21, 106–31. Edmond Lareau, Histoire du droit canadien depuis les origines de la colonie jusqu’à nos jours (2v., Montréal, 1888–89), I. J.-E. Roy, Histoire du notariat, I, 300–14. Vachon, Histoire du notariat, 29–38. Édouard Fabre-Surveyer, “Louis-Guillaume Verrier (1690–1758),” RHAF, VI (1952–53), 159–76. Claude Vachon, “VERRIER, LOUIS-GUILLAUME,” in Dictionary of Canadian Biography, vol. 3, University of Toronto/Université Laval, 2003–, accessed April 26, 2019, http://www.biographi.ca/en/bio/verrier_louis_guillaume_3E.html.